Our friends, Laura & Phil, owner-operators of one of our favorite charter yachts, Storm Petrel, are based in New England for the summer season. We just received an email saying that they are in their storm hidey-hole and well secured with extra mooring lines and chafe gear. They are well protected in the southeast winds they are having right now and only expect tropical storm force winds at the peak of the storm in their area. All the best, guys... Stay safe! 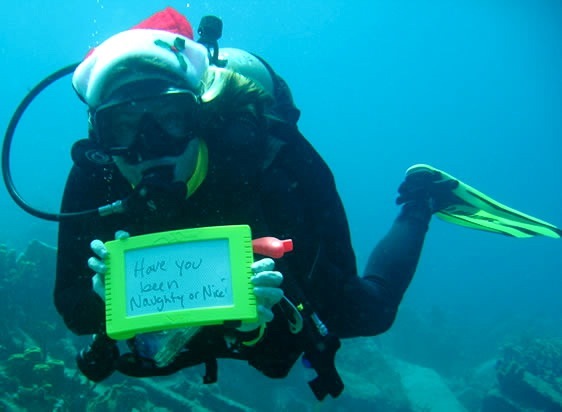 Looking forward to seeing you back in the Caribbean. 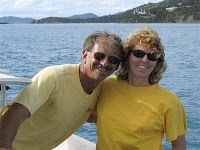 If you'd like to meet Phil & Laura and go sailing with them aboard Storm Petrel, let us know! They will be in New England for a bit doing day sails, weekends, partial or full week charters. Starting in November, Storm Petrel will be available for sailing vacations in the Virgin Islands and other Caribbean destinations. See previous blog posts about STORM PETREL. The charter yacht Jambalaya is a 73-foot wooden schooner built in 2002 in Carriacou. Peter and Sylvie, owner-operators of Jambalaya, completed a full re-fit in 2010 so all the interior design is new. Blending the best of traditional wooden boat construction with the latest nautical technology and outfitted to the highest standard, Jambalaya is a perfect combination of tradition and comfort. Jambalaya's spacious, classic interior features varnished hardwoods, contrasting pleasantly with the traditionally white-painted decor, making every room light and inviting. The master cabin has a king-size bed, 9-foot headroom, ensuite head, and its own personal entrance giving total privacy. The other two guest cabins each have a double bed and share a head between them. A large covered cockpit is a perfect place for outdoor dining while enjoying the panoramic views. The deck itself is very large and spacious with plenty of room to relax in the shade or sun. Peter & Sylvie are passionate about providing the best service and exquisite food! One cool feature of a charter aboard Jambalaya is that their "All Inclusive" rate INCLUDES standard ship's bar, which unfortunately is unusual for "down-island" charter yachts. A gold star for Peter & Sylvie! 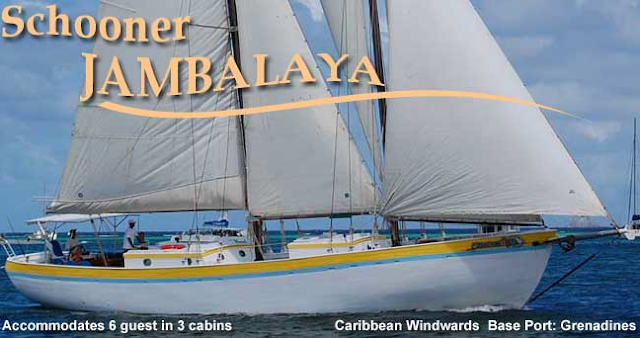 Jambalaya is based in the Grenadines and charters in the Windward islands, but inquire for other Caribbean locations... never hurts to ask! We received an email yesterday from American Airlines announcing their Caribbean/Mexico sale. Take advantage of this special offer and save money on your flights. Call or email us with your dates and we'll send you a selection of yachts!